Granddaughter of the last commander of the Royal Black Watch, the bodyguard of the Star League's First Lord, Colleen Schmitt joined the Terran Resistance after Amaris destroyed the regiment with a nuclear strike at the beginning of his Coup. Having seen the failure of the Star League firsthand, she is a strong believer in Nicholas Kerensky's dream for a new society. Unlike many other Khans, she advocates teamwork and cooperation over personal glory. A moderator and peacemaker, she urges the other Khans to set aside their other differences for the sake of all the Clans. 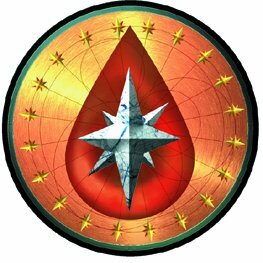 The only Clan named for an ideal (espirit de corps) rather than an animal, the Blood Spirits seek to bind the Clans into a cooperative fellowship. Khan Schmitt's teachings, as well as her belief in Kerensky's vision, have led to many Blood Spirits adopting the early practices of zellbrigen espoused by Clan Coyote, as well as developing their own bidding process to minimize collateral damage. Civilians clearly remain subordinates, but are well-treated, and are supportive of the warrior caste. Clan Blood Spirit fields two Stars of Aerospace Fighters in addition to their six Stars of Battlemechs, an average Clan organization. Lacking any specific specialization, they performed well in all situations during the pre-invasion training. Able to coordinate well, even with other Clans, they are a versatile force. They will bid for the right to conduct operations unless ordered otherwise, and will follow the code of zellbrigen if the situation allows it. However, they are not committed to duelling, and if the situation demands it, they will revert to SLDF mass-fire tactics. Herve and Nigel Polczyk are twin brothers who were originally soldiers in Stephen Amaris's Rim Worlds Army. Having fought against the SLDF during the brutal years of Operation Liberation, after their capture and pardon they chose to follow General Kerensky into exile. Both are stoic and determined to eke out a new life in the Clans, where only their abilities matter, not their past actions. Clan Burrock share the traits of stoicism and determination with both their Khans and their totem animal, a massive burrowing invertebrate. One of the more diverse Clans, partially because of their Khans' backgrounds, they have few ties to the other Clans and are relatively isolated. This isolation means they have no real rivals and allows them to choose their own course, but they also lack the decisiveness of other Clans. The Burrock Touman consists of two Aerospace Stars and five Battlemech Stars, primarily heavy and assault designs. Their single vehicle Star, unusual for a Clan, is lighter than the rest of the Touman, and fulfills a reconnaissance role. Where another force might be hampered by slow machines, the Burrocks use this to their advantage, thoroughly securing each area before moving on to the next. They will bid occasionally, but only follow zellbrigen when ordered to by the ilKhan. Windham Khatib survived the outbreak of the Coup in the Hegemony and fled to the Lyran Commonwealth to finish his religious studies. After Kerensky's drive to Terra began, he joined the SLDF as a chaplain. Unwilling to let others risk their lives on his behalf, he frequently joined in the battle against the Usurper's forces, eventually becoming a skilled 'Mechwarrior. Known as the "Pope-in-Exile", because of a hereditary claim to the Supreme Pontiff of the Church of the Crucifix, he has no desire to return to a society of bigotry and religious conflict. He focuses on the concepts ethics and morality, leaving the military training of his Touman to his saKhan. A calm demeanor and even temper set him apart from more aggressive Khans. Rafe Kardaan is an ace among aces, an expert pilot and tactician. 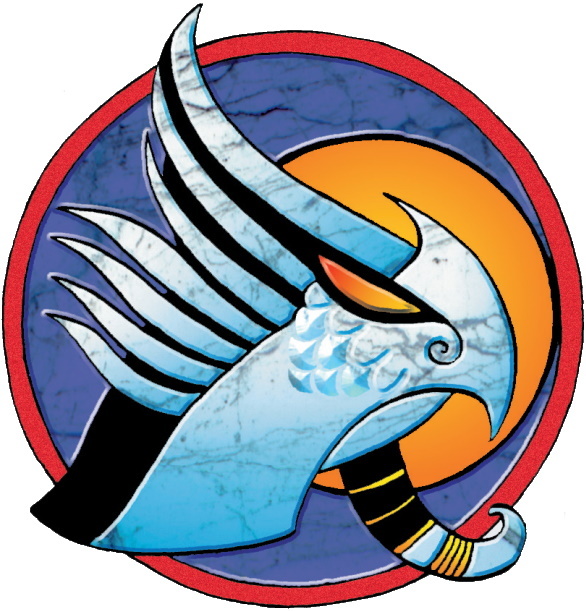 Khan Khatib allows him to direct most of the Cobras' military training, and so the Clan has a heavy aerospace preference. Skilled but unambitious, Kardaan provides the energy and ability to reinforce Khatib's teachings. A religious Clan in a society where religion is uncommon, their beliefs (called "The Way") are that faith itself, rather than dogma, is what matters. While spiritual, they are far from naive, and skills in debate and rhetoric can easily be turned from religion to Clan politics, making them one of the more politically involved Clans. Their tolerance extends to their civilian castes as well, who have high status in the Clan. 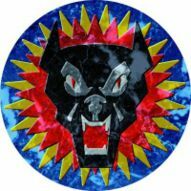 With four of their eight Stars consisting of Aerospace Fighters, the Cloud Cobras have aerospace capability exceeded only by that of the Snow Ravens. 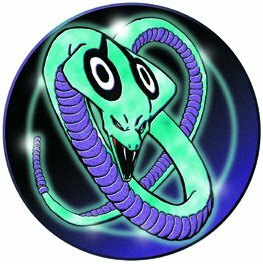 Their pilots are trained in aerial reconnaissance as well as dogfighting and ground attack, and the Cobra saKhan is a long-serving aerospace veteran of the SLDF, giving the Cloud Cobras the ability to outmaneuver almost any enemy. With their Khan a chaplain rather than a professional soldier, however, their Battlemech forces lack coordination when unsupported by their Aerospace elements. They do not bid, but individual warriors may follow zellbrigen, and other Cobras will respect these duels. Orphaned in her infancy by the Amaris Coup, Dana Kufahl was raised in the deserts of Terra's North America continent by a local tribe. A fanatical follower of Nicholas Kerensky, she is one of his most vocal supporters. Kufahl has a set concept of what a Clan warrior should be, with the tenets of honor and personal glory forefront in her mind. She scorns those who do not fit that image, and never lets go of a grudge. Andery Kerensky tempers her attitude when the two are together. A believer in the power of visions, Kufahl's "hunches" have been extraordinarily accurate, but she never shares the details of her dreams. Following their Khan, the Coyotes quickly adapted to Nicholas Kerensky's new society, embracing the caste system smoothly. Oddly enough, the Warrior caste actually had the most difficulties, as the original 40 Bloodnamed at first rejected the addition of any auxiliary personnel at all. Pragmatism won out in the end, although scientists and technicians are still held in higher regard than second-line warriors. The Coyote Touman is the most powerful of any Clan's, fielding only a single Aerospace Star and a full seven Battlemech Stars, most of them heavies and assaults. Despite this weight preference, however, Coyote warriors are excellent pilots and tacticians, following their trademark zellbrigen dueling style under almost all circumstances. Their insistence on this fighting style, however, makes it difficult for other Clans to coordinate with them, and only the Wolves can work smoothly with their fighting style. They will bid both against other Clans and within their own Touman. Raymond Sainze is proud and honorable, though not to the point of arrogance. In the tradition of his Combine ancestors, he prefers to meet any challenges head-on, preferring single combat (both in his 'Mech and on foot) to resolve disputes. He has very set beliefs, and is uncompromising once he has made a decision. Laura Payne, the junior Mandrill Khan, is everything her senior isn't. Young and energetic, she is approachable and works well with her subordinates. Her enthusiasm is infectious, and she has a great respect for everyone, warrior and civilian caste alike. She and Sainze clash often. 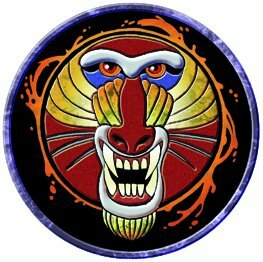 Intensely competitive, Clan Fire Mandrill began to show signs of factionalism even before they were declared combat ready. Although saKhan Payne is able to maintain coordination within her Clan, Khan Sainze prefers to use this competition to weed out the weak and strengthen the Clan as a whole, their personal debates mirroring those of their Clan. The civilian castes have actually taken to the competitive spirit with vigor, forming "kindred associations" with family members and friends in the Warrior Stars. Although this means there is some redundancy within the basic amenities of the Clan, it also means civilians, especially the merchants and scientists, are treated well. Fielding one Aerospce Star and seven Battlemech Stars, the Mandrills have a powerful ground force, but it is hampered by inter-Star competition. Commanders will conduct bidding on some occasions, and warriors may challenge an enemy to single combat, but these are not established practices and instead stem from the rivalries and intense competition between the Stars. This is not entirely negative, however, as Mandrill warriors are driven to perform well by the presence of their peers. Sandra Tseng is loyal to a fault, but only to those she considers "family". For the most part, she only uses this term for other Ghost Bears, although a handful of members of other Clans have earned her respect and trust. Her loyalty is absolute, and Khan Tseng will go to any lengths, both on and off the field of battle, to protect her "family". Although she (and by extension, her Clan), are willing to work alongside others, they will never sacrifice their own for another's benefit. The Ghost Bears are incredibly unusual in that they were formed by a husband and wife. Hans Ole Jorgensson, the Bears saKhan, is even more direct than his wife. The death of his son ???? drives him onwards, and beneath his calm exterior is a furious rage. In casual competition, or the ritual duels the Clans have begun to practice amongst themselves, he can usually keep his inner feelings in check. When facing a true enemy, however, he will continue to attack with singleminded determination until he or his foe is slain. Since he is still alive, this trait says much for his combat abilities as well. Slow to anger and fiercely independent, but ferocious once threatened, the Ghost Bears live up to the ideal of their totem animal. Although their emphasis on long-term preparation has not had time to prove itself, their civilian castes and loyal and hard-working, receiving nearly the same treatment as the warriors.. They are the most insular of any Clan, with few allies outside their own tight-knit group. Fielding a heavier than average Touman, the Ghost Bears have a single Aerospace Star and seven of Battlemechs. Their methodical fighting style lends them to defensive actions, while when attacking brute force is their most common solution, although faster Bear Stars will also launch carefully planned flanking operations. They do not bid, and will only rarely extend the courtesies of zellbrigen to a respected opponent. Khan: Originally trained as an SLDF engineer, Cyrus Elam approaches problems facing his Clan from an analytical point of view, searching for weak points and attempting to undermine his opponent's position, both on the battlefield and in the debate room. Precision and thoroughness are both traits he has passed onto his Clan. Oddly enough, his warriors have adopted his fascination with history as well, and are one of the few Clans to cling to old traditions while Nicholas Kerensky forges the new society. 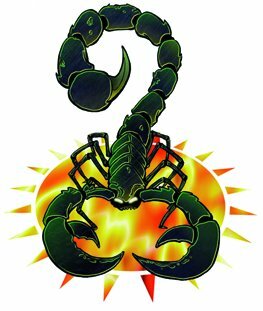 Background: Believing that all history, and all people, are valuable, the caste system has not fully taken hold in Clan Goliath Scorpion. Unlike in the Ghost Bears, however, the Goliath Scorpions have not established a cohesive identity, and so there is little driving force behind the Clan. Their one advantage is a constant effort to locate the Brian Caches, stockpiles of military supplies placed during the Exodus and the colonization of the Pentagon Worlds. If this research pays off, they could easily become the most powerful Clan after Operation Klondike. The Goliath Scorpions field seven unusual Combined-Arms Stars, each consisting of a mix of Aerospace Fighters, Battlemechs, and Combat Vehicles. Although many question the wisdom of splitting up similar elements, especially the Aerospace units, their techniques were surprisingly effective in trials. Their eighth Star consists solely of infantry, the only such Star in any Clan's front-line forces. Trained as commandos and sappers, they fulfill a special forces role, disrupting the enemy's plans. Both bidding and zellbrigen run counter to the unorthodox tactics of the Scorpions, and they follow neither practice. An experienced SLDF soldier and a loyal follower of both the elder and younger Kerenskys, John Fletcher easily earned his place in Clan society. His "everyman" approach and love of tinkering, however, mark him as atypical amongst the other Khans. He enjoys the thrill of battle and commonly leads from the front, inspiring the loyalty of his followers. His energy is tempered by a deeply ingrained sense of pragmatism from his experiences in the Amaris Coup, and he knows the easy road may be mined. 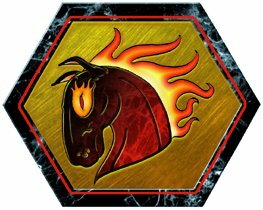 Deliberate and pragmatic, the Horses know that while Operation Klondike is the current focus of all the Clans, they will eventually seek out to explore and colonize the rest of the Kerensky Cluster. Their preliminary efforts have gathered more data than most of the other Clans, putting them in good position for a Post-Klondike expansion. Tolerant and respecting of their lower castes, their industrial capacity lags behind that of the leading Clans. Although some other Clans field Combat Vehicles in their front-line units, the Horses actually have more of them then they do Battlemechs. By only designating the commander of each pair of vehicles as a Bloodnamed Warrior, they have the largest military force of any Clan. This sleight of hand has angered some Khans, but many believe that the inferiority of vehicles will be their undoing, and are content to observe. Seven of these Combined-Arms Stars are in the Horses Toman, which is rounded out by a single Aerospace Star. Bidding is rare within the Clan, but the perceived inferiority of vehicles actually gives them an advantage when it is conducted against others. The odd Horses Star organization makes the Zellbrigen system difficult to implement, but the pragmatic Horses had little use for it anyway. Khan: Stephen Cage is a motivated and determined Khan. His grasp of matters, both tactical and technical, rivals that of experts in both fields. Although dedicated to his "family", both the warrior and civilian members of his Clan, he cannot stand anyone who does not put forth their full effort, or works only for their own reward. An inability to control his ire is one of his greatest flaws, as he will turn the same energy he puts into productive tasks against his opponents without a second thought. Background: Regarding many outsiders as flawed and weak, the Clan is insular, although not to the extreme degree of the Ghost Bears. Their civilian caste remains motivated, despite mediocre treatment from the warrior caste, although a lack of long-term planning has hurt some of their expansion efforts. The most maneuverable Touman, their one Aerospace and seven Battlemech Stars fall on the lighter end of the spectrum, having traded heavier designs away to other Clans to acquire their desired speed. Hellions will follow both zellbrigen and bidding practices, but have no qualms about discarding them if necessary. No one in the Clans has an experience of warfare as comprehensive, or as bloody, as Elizabeth Hazen. She survived the destruction of the Royal Black Watch Regiment on Terra, in the opening moments of the Amaris Coup, before going underground to wage nearly two decades of guerrilla warfare. At the outbreak of the Pentagon Civil War, Hazen, then a Major in the SLDF, was the first warrior to be felled in the DeChavilier Massacre. Unfazed by her 'Mech's destruction, she went on to kill at least twelve rebels with nothing but a katana. Proud and ruthlessly efficient, Hazen is confident in her abilities (and those of her warriors) to the point of arrogance, despite her age. Although fully adopting Nicholas's caste system, the Falcons give surprising leeway to their civilians, despite their hidebound manner. Transgressions, however, are punished harshly. Not blinded by tradition, they realize the importance of establishing a strong technological and industrial base, and were one of the first Clans to pass combat trials. A fast and powerful Touman, the Falcons field two Stars of Aerospace Fighters and six of Battlemechs. Jump-jets are common, making even the Falcons' heavier designs maneuverable, and they prefer an up-close fight. Falcon warriors will bid and follow zellbrigen if their opponents do the same, but Khan Hazen's long experience in guerrilla warfare keeps the Clan wary of stand-up fights, and the slightest infraction will cause the Falcons to revert to SLDF doctrine. Khan: Mitchell Loris's combat experience is limited, but his background in the Logistics Corps makes him a solid negotiator and administrator, although it has not earned him or his Clan much respect. He puts the success of his Clan first and foremost, and will use his knowledge to benefit others only when his Clan will benefit as well. saKhan: Sais is a brilliant tactician, his swift, fluid movement of troops left more than one Clan flat-footed and off-guard during the pre-invasion trials. 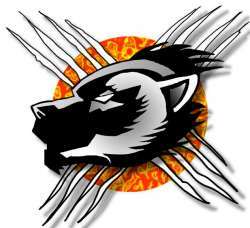 Allowed to handle the day-to-day operations of the Clan by Loris, he has shaped the Mongoose Touman into an effective strike force, although some other Clans question their abilities in a protracted battle. Background: Led by a SLDF quartermaster, the Mongooses have faced scorn from other Clans for delaying their combat trials until they had established a strong industry and large stocks of supplies. Although well-prepared for whatever the future might throw at them, their productive civilian castes have thus far received little gratitude from the warriors they have equipped, and many Mongooses are champing at the bit, held back by Khan Loris's preparations. With a predominance of medium-class machines, the Mongooses rely on hit-and-run attacks to maximize their speed and firepower, while avoiding standing battles. They field seven Stars of Battlemechs and one of Aerospace Fighters. Daring individuals may challenge opponents to single combat, but the Touman as a whole realizes that teamwork is more effective. Bidding is relatively common, however, as a means of preserving resources. Khan: Phillip Drummond, Khan of Clan Nova Cat, is doggedly determined to do what he considers right. A veteran of the Amaris's Rim Worlds Army, he defected to the SLDF after the atrocities committed on Terra were revealed. Decades of combat experience have served him well, and he strives to be prepared for every situation, a drive on the verge of paranoia. One of the first colonists of Circe, he is intimately familiar with its terrain, and wants the opportunity to reclaim what he considers his home. Background: A spiritual (although not truly religious) Clan, the Nova Cats commonly practice meditation as a contemplative means. Discipline is strong, and the civilian castes are supportive, although not honored with high status. They are content with the belief that Khan Drummond has the Clan's best interests at heart. The Nova Cats' seven Battlemech Stars have trained heavily against each of the other Clans, giving them experience against a wide range of combat tactics. Constant planning and coordination with their Aerospace Star allow them to react quickly to enemy maneuvers, and they have no distinctive tactics of their own that an enemy could thwart. They rarely bid, and only duel on an individual basis. David Kalasa is an intelligent tactician, and he is more than willing to fight for what he believes is right. He projects his high standards for himself onto others, however, and when they do not live up to his expectations he is easily frustrated. Unwilling to compromise his own position, he will not accept illogical or poorly conceived ideas. 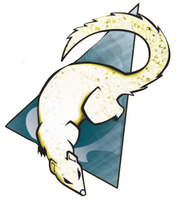 Sea Fox scientists, merchants, and technicians are a common sight in other Clan enclaves, as their cooperative nature has earned them several allies, although more militant Clans are suspicious of the freedoms they allow their civilian castes. The Sea Foxes have engaged in numerous trade deals with other Clans, particularly in battlemech designs that other Toumans want to field. Their rewards in return have given them a strong economic basis. A high degree of initiative is given to Sea Fox warriors, even more so than to the average Clanner. With both of the Sea Fox Khans amongst the Clan's six Battlemech Stars, Star Colonel Karen Nagasawa leads the two Aerospace Stars, and has permission from Khan Kalasa to issue orders to ground elements from above if the situation dictates. The Sea Foxes will not bid away valuable combatants, and oppose the practice of zellbrigen, finding it wasteful. If a warrior is in danger, they are perfectly willing to interfere with the duel. Khan: A harsh youth as a colonist on the Pentagon Worlds has left Franklin Osis and intelligent yet brutal man. He respects martial ability, particularly brute strength, and is a strong believer in the "might makes right" society of the nascent Clans. This attitude has strained relations with the Jaguar civilian castes, who have the lowest status of almost any Clan. Background: The harshest Clan, Smoke Jaguar treatment of warriors, trainees, and civilians alike has given them little support from their civilian castes. Regardless of their internal methods, however, their touman is one of the most powerful, the warriors hardened by the conditions of their training. In Clan society, where only the results matter, they are well-suited to thrive. Brutal training has hardened the Jaguar warriors, and they are the best warriors of all the Clans. One Aerospace Star and seven Battlemech Stars comprise their Touman, but a rigid chain of command hampers individual initiative. Bidding and zellbrigen are rare, although the victors of individual duels are highly regarded. Khan: A natural pilot, Stephen McKenna feels out of place on a planet's surface. Although his grasp of ground operations is strong, he prefers to fight in the sky, or better yet, the black void of space. Second only to his love of flight is his thirst for knowledge, people, places, events both current and historic. Although espionage of any kind is taboo in Clan society, McKenna remains the most well-informed Khan, both in his own Clan's affairs and those of others. Background: Ambitious and eager, the Snow Ravens have high hopes for Operation Klondike, and their planning and preparation has been extensive. Their civilians are supportive, and given moderate respect, while their warriors are dedicated. Thanks to Khan McKenna's information, and their own savvy, their economic base is above average, although not exemplary. Touman: The Snow Ravens field a full four Stars of Aerospace Fighters, and a matching four of Battlemechs. Their pilots' abilities are impressive, but their ground performance has been lackluster in initial trials. They do not bid, as it is custom amongst other Clans for aerospace elements to be bid away first, and the Ravens feel intentionally slighted by this practice. Zellbrigen does not fit with effective aerospace combat, and is also scorned by the Ravens. Khan: Absalon Truscott is one of the few SLDF Generals that passed the Clans' Trial of Position, and he commands a great deal of respect. Most other Clansmen will defer to his position and experience, although many Khans have become jealous or feel threatened by his following, which is not limited to his own Clan. saKhan: Devon LeFabre is the common NCO to Truscott's consummate general, his plainspoken but direct manner has ensured strong support from his Clan's second-line warriors and civilian castes. Although a natural leader, he has little of the administrative or planning skills of Truscott. His easygoing manner often meets derision from the leaders of other Clans. 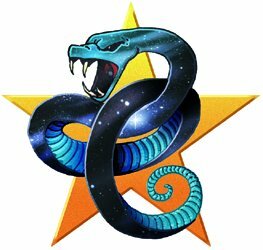 Background: Close relations with their civilians has given the Star Adders a powerful support infrastructure, although has attracted the displeasure of a handful of other Khans. While warriors make all key decisions, as in most Clans, civilian experts in various fields are encouraged to give advice and input. With the solid foundation established by their two Khans, he Star Adders are well-prepared for Klondike, and whatever may come after. The Star Adders field one Aerospace and seven Battlemech Stars, and put as much effort into planning as they do into battle, preparing for almost any contingency. This does earn the scorn, although outright accusations of cowardice are as yet unspoken. They will not bid or duel except when doing so is advantageous to them. Khan: Although Dana Kufahl may be the most outspoken supporter of Nicholas's vision, Ellie Kinnison is probably the most militant. Unable to suffer the presence of those uncommitted to the Clans, or to the Steel Vipers in particular, she has no small number of enemies amongst the other Clans. In combat, her ability is enhanced by a total lack of fear, she willingly wades into battle against more powerful foes, trusting in the skill of herself and her warriors to pull through. She has imparted some of this fearlessness to her touman, and wherever she leads, they will follow. saKhan: The oldest warrior of any Clan, Antonius Zalman has survived everything the galaxy has to throw at him thus far, but his failing health may herald the end of a long and distinguished career. Conscious of his own mortality, he seeks to impart his wisdom onto the next generations. That he does not restrict his teachings to the warriors of his own Clan irks Kinnison to no end. Background: Confident and proud, the Steel Vipers eagerly await the beginning of Operation Klondike. Strong proponents of Nicholas Kerensky's new society, they are among the most prominent Clans in pre-invasion planning. Their civilian castes are treated fairly, although not well. saKhan Zalman is universally respected amongst the Clans, and they have several loose alliances with other Clans. In the Vipers' seven Battlemech Stars, they prefer light and fast-moving designs, although not to the extent of the Ice Hellions. They have adopted both bidding and zellbrigen, and use them frequently. A single Aerospace Star rounds out their terrain, used in precision strike attacks. Jason Karrige's father was one of the mutineers aboard the Prinz Eugen during the Exodus voyage, and after his execution, Jason was hounded and stigmatized for his father's actions. Vowing that he would always be in command of his own destiny, he felt unfairly blocked from further promotion within the SLDF during the colonization of the Pentagon Worlds. Ambitious and determined, he eagerly joined the forming Clans, quickly earning the title of Khan. Charismatic and intelligent as well as skilled in combat, he is well-liked amongst the Clans, and is held by many Widowmakers as the example of the ideal Clan warrior. His one flaw is the ambition and drive to prove himself that he has never truly satisfied. Harsh and strict, although not to the degree of the Jaguars, the Widowmakers nevertheless have built up a solid foundation for their Clan. A driven and committed warrior caste is well-equipped, and their civilians are loyal, if not happy. Another powerful Clan, they have few allies, but eagerly await the beginning of Operation Klondike. The eight Combined-Arms Stars of the Widowmakers combine both 'Mechs and Aerospace Fighters into a single unit. Although this spreads out the Touman's strength, it allows them more flexibility in small units. They have not adopted either bidding or zellbrigen, preferring a supposedly "dishonorable" attack with less risk. Jerome Winson is a smart and adaptable leader, and he follows a path of moderation. Calculating, yet decisive when the need arises, he brought Clan Wolf to combat readiness before any other Clan. He is very protective of his younger sister Jennifer, and something of an elder brother to her husband Nicholas Kerensky and his younger brother Andery. 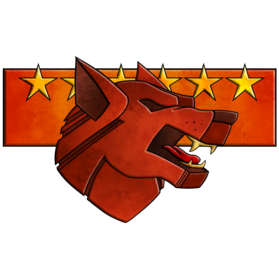 Closely-connected to the Kerenskys through Nicholas's marriage to their Khan's sister, and also through Andery's favour, the Wolves are the most prestigious, although not the most powerful, Clan. Their civilians are allowed little freedom, but otherwise are treated well, and so their support base is strong. Khan Winson was widely respected even before the formation of the Clans, and the Wolves have several allies, especially the Coyotes. The Wolves are flexible and adaptable, but lack and specific specialization. They field one Aerospace Star and seven Battlemech Stars, but are sometimes limited by guard duties for ilKhan Nicholas Kerensky. They will bid and fight according to zellbrigen when the situation permits, but are not attached to either practice, although Nicholas is. Strong-willed and outgoing, as well as a skilled 'Mechwarrior, Sarah McEvedy is committed to the success of her Clan. She learned leadership from her father, James McEvedy, commander of the 331st Royal Battlemech Division during the Amaris Coup. Her passion and drive inspire her fellow Wolverines, who are among the most loyal warriors and civilians of any Clan. Her greatest weakness is her tendency to follow her gut reaction. Headstrong and instinctive, she views any slight to the Wolverines a personal attack against her. Somewhat isolationist, the Wolverines do not fit in well with Clan society. Their civilian castes are granted wide freedoms, and are sometimes even placed in positions of authority over warriors, although this is rare and specific to the situation. 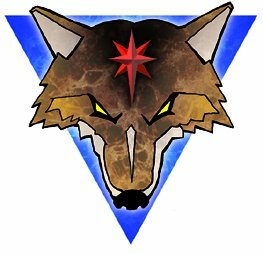 These actions have angered some of the other Clans, but the Wolverines have performed well in pre-invasion trials and are among the stronger Clans. 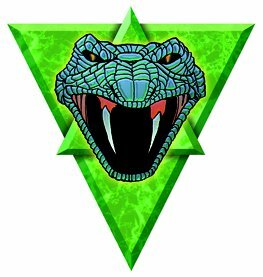 Only the Viper and Coyote Khans are openly scornful, with other detractors reserving their judgment to first witness their combat performance in Klondike. The Wolverine Touman consists of one Aerospace and seven Battlemech Stars. Fierce and aggressive warriors, the Wolverines follow the old SLDF rules of engagement, including mass fire and total warfare. This is contrary to the developing Clan philosophy, but it limits Wolverine casualties, and they hold that every man and woman is valuable.